Weekend Cocktails–the Blueberry Balsamic Liqueur is ready! I pulled out the Blueberry Balsamic Liqueur that’s been brewing/marinating/getting delicious in my cabinet for the last week. The directions said it should smell strongly of blueberries. And it did. So, I strained it through a mesh sieve and promptly tasted a bit. It was heavenly. I patiently waited until evening to settle in with a proper cocktail. 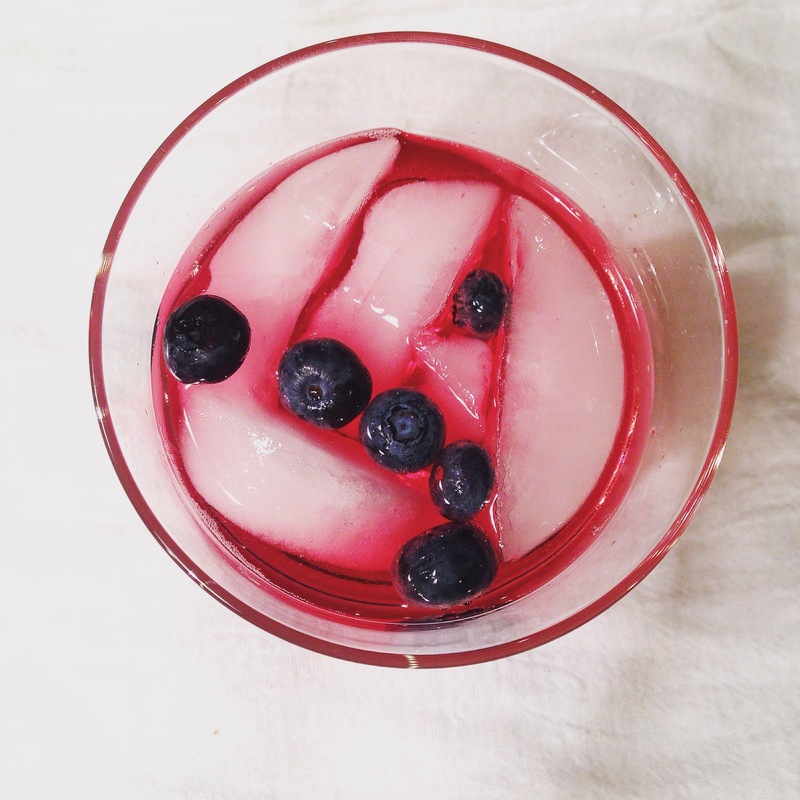 A bit of the liqueur and some tonic with a few fresh blueberries thrown in for health reasons (antioxidants). The verdict is that it’s totally fresh and delicious and would taste amazing in mojitos, lemonade, or with simple club soda and muddled oranges. Click the link above for the recipe! I really feel I need to make this. Stat.